This piece is used mainly for minifigures' heads. They would usually come with printed faces on them, but is also available with out a pattern. 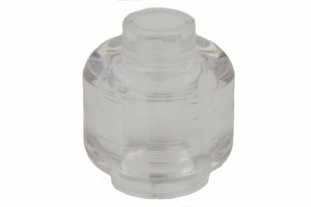 This head has a recessed or open stud, instead of a blocked open stud. This difference has no consequences when building.